I am a major fan of the original series back in the 1980s. So when it was announced that TV producers were going to make a new version of MacGyver in his 20s, I thought to myself, why not? It's about time we see him again in small screen, albeit a younger version. The series started in 2016 and I just had the time to begin watching it few weeks ago. Now I want to share my views about this series. Angus MacGyver (Lucas Till - Monster Trucks, X-Men: Apocalypse etc) was working for a US secret agency disguised as a think tank organization. In his missions, he was always partnered with another agent named Jack Dalton (George Eads - CSI: Crime Scene Investigations TV series) who supported MacGyver in the more physical part which required fights, gunshooting or car chases. The organization which later on would be named as Phoenix Foundation was headed by director Patricia Thornton (Sandrine Holt - Terminator Genisys, Once A Thief TV series etc) who was very strict to Mac and Jack. During their missions, MacGyver & Jack were supported by IT genius hacker who had a criminal past named Riley Davis (Tristin Mays). This criminal past would later impact her job at Phoenix. In his normal life, MacGyver had a best friend from his childhood named Wilt Bozer (Justin Hires) who worked in Burger restaurant but also had a hobby of making movies. Due to the dangerous nature of his works and in order to make sure he is safe, Bozer was not informed of Mac's actual job which would create challenges as Mac did not like to lie to his best friend. MacGyver's missions with the team would involve various cases from rescuing CIA agent, stopping virus bomb threat, exposing murder for hire and many more which would require Mac's ability to use multiple items he found at the location to save the day with the full support from his friends at Phoenix. 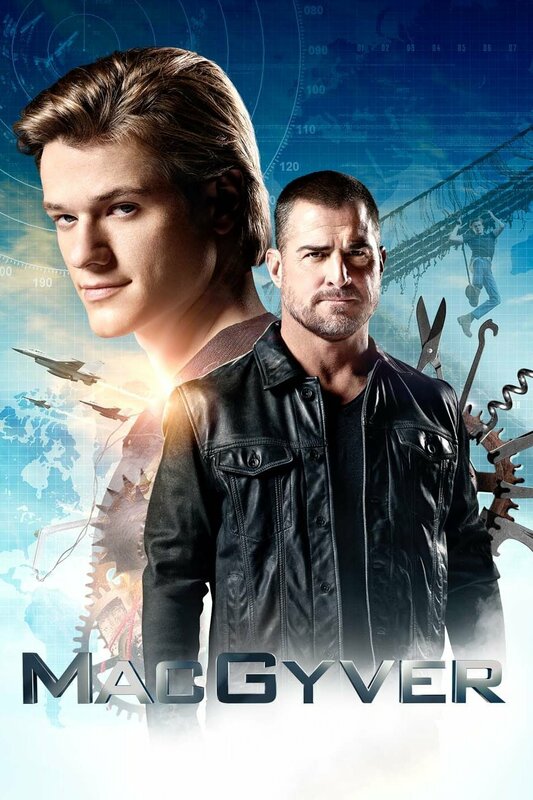 As I mentioned above, I was actually very excited to see a new and modern young version of MacGyver in TV. However, after watching the first few episodes, I felt that this was unlike the MacGyver whom I loved and admired in the original series. Yes, I know that the younger version would not have the wisdom or the calmness the mature Mac had. But the plot of making MacGyver fully supported by a team with few people did little to convince me that he would become that MacGyver. The over reliance of Mac on Jack Dalton here felt too much and make him less independent, not to mention the additional characters of Riley and Bozer who was supposedly bringing a fresh look but instead making us a little bit distracted. The uniqueness of MacGyver creating things out of nothing plus his brief narrative explanation was still there. But somehow it felt it was done too rush and hardly understood by us (not that we could understand the whole thing in the original series, but it felt more "user friendly" to us then). In this new look, we were not given enough time to be appreciative of his efforts. It made these iconic scenes become less of an attraction and more like scenes that were forced to be included. What I am trying to say here is that this new MacGyver may seemed like MacGyver because of the character's similarities, the agency and his friends, but I honestly feel it was more like the story of team of super agents with 1 of them happened to have this unique ability. As a new series set in this millenium period, it probably can relate to the younger generation more due to the modern set of problems and the ways to resolve, which include the use of technology intelligence. But for us who loved the old MacGyver, most likely could not relate to this one entirely. However, if you do not consider this as the remake of MacGyver, but just see this as an entirely new series, you might probably be more receptive. That was what I did after reaching half point of the series. One other thing that I do not like was the twist happening in episode 12 as I think it totally ruined the consistency with the older version of MacGyver. I am not sure the reason for doing that, but I think it was a wrong move. Anyway, if you are able to look beyond the above flaws, the series itself might have a different appeal. There were some memorable episodes that I actually enjoyed such as episode 8 when another iconic character from the original series appeared, episode 10 when Mac went back to his hometown (which had the aura of the real MacGyver), episode 15 which I think was rather unique, episode 17 which was very intense and episode 18 (which you would know if you have seen it). From what I saw in the internet, this series sadly was having poor rating. Currently season 2 is still ongoing and there is possibility it might be cancelled before season 3. I personally feel the producers and writers would need to do something radical to make it better received, and hopefully it might continue becoming a successful series as iconic as the original. Otherwise, it might just add to the list of unsuccessful remake/re-imagining. In the end, if you are looking for the classic MacGyver, I doubt you would be satisfied with this. But if you are looking for a team of agents solving various cases in every episode plus brief humorous moments in each episode then probably you can enjoy the series. The choice is yours.